By reducing the quantity of product that was rejected, we could significantly increase productivity. Later, whilst working for another organisation, I was part of a team introducing a concept called Total Quality Management (TQM). Implementation involves every member of the organisation in thinking about how to improve the way they carry out their individual functions, and seeking ways to continue improving. A great deal of effort is put into training so as to ensure every member of the team develops his or her full potential. How might these principles be adopted by creative people, especially writers? After all, we mostly work alone. We can still aspire to continuously improve in everything we do. Great artists regularly produce sketches and studies in preparation for a significant painting. A writer will produce several drafts of a novel before showing it to a trusted beta reader. 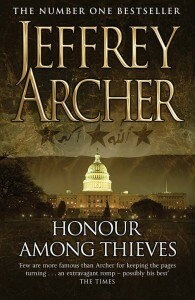 Jeffrey Archer is on record as producing at least ten drafts of every one of his novels, all in longhand. Only then is the book released to an editor who will suggest further improvements. But a book is more than the content. There are many other factors that contribute to the quality of the finished article, including cover and formatting. It is at this stage that the work ceases to become the product of a single individual and is handed over to a team that might include an agent and publisher as well as editor and cover designer. All members of the team need to have in mind the single goal of “success through customer satisfaction”. In this case, of course, the customer is the reader. What steps do you take to ensure reader satisfaction? How easy do you find it to work with others – beta readers, cover designer, editor – to achieve that aim? If you are someone who feels daunted by what you see as the difficulty of uploading a book to Amazon’s CreateSpace for print publication, don’t be. I’ve just done it for the second time and it was a lot easier than the first. Here’s why. The first time was back in the summer of 2014 and I am certain that some of the features that made it easier this time around were not present then. Like the step where, having uploaded your interior text you wait for 24 hours to receive an e-mail with a link to the converted text as it will appear in print. You can page through to see if it is formatted exactly the way you want it. This file is ‘read only’ but you can save it to your hard drive as an editable file and make the changes you want. Then, when you go back into the CreateSpace process you can upload this file as your new interior. You can repeat this step as many times as you need. I did it twice. Last time around, when the process was completed I had to purchase a printed proof copy, which took about a month to arrive, before approving the file for publication. Now an on-line proofing step has been provided. You simply download a virtual copy of your book, complete with cover, that you can page through for a final check of formatting. It is a good idea, at this stage, to do a final read through, checking for typos missed during earlier editing sessions – believe me, there will be some! CreateSpace offers you the option of downloading a pdf version of your interior file to make this easier. If, at this stage, you find things you need to change you can go back to that file you saved in the earlier step, make the changes and return to the step where you upload the revised file. All this means that there are plenty of opportunities for getting your book exactly the way you want it, without having to wait for a printed proof. It’s not just the process for uploading and correcting the interior file that has got better. Cover design, too, is a lot less bothersome than I remember from the first time I did it. Of course, you can use a professional design service, and Amazon have an extensive list of associates whose services you can purchase. However, if you choose to use a template from the CreateSpace library, the variety of designs available is much more extensive than I remember from 2014. For those templates that include space for an image, you still have the option of uploading your own, or you can choose from a large selection of images also available in the CreateSpace library. Once you have chosen a template, the process takes you step by step through the insertion of title, sub-title, author and two sets of back cover text (this is where you insert your carefully crafted blurb to make your book irresistible to readers!). Each step can be omitted should you so choose. For example, a novel does not generally have a sub-title. Many front covers do, however, have a key phrase or two to tell readers what to expect. It might be something like “from the award winning author of (your last book)”, or a succinct expression of the challenge facing your protagonists. Don’t waste the opportunity to use the sub-title panel for that important purpose. It is well worth spending time getting all of this right. But it is also vital that your text is fully edited and corrected before you commit it to print or digital publication. Note: I provide above a link to the editing service I used for Transgression. I found it’s proprietor, Eamon O’Cleireigh, to be a valuable partner in the process of improving my book. There are, of course, many other providers of such services and you would be well advised to shop around in order to find someone who suits your particular needs.